Ukraine has a lot of export potential in the agrarian sector, but phytosanitary concerns significantly limit the development of these prospects. An EU-funded project with a budget of €1.2 million supports the State Veterinary and Phytosanitary Service of Ukraine in guaranteeing the safety of plants and plant products. 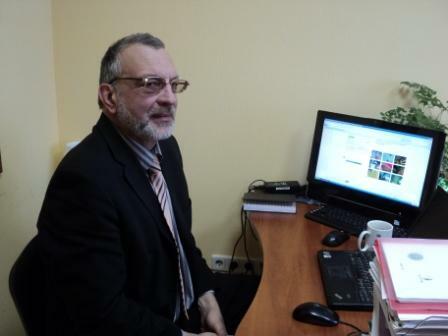 An interview with Agris Bokums delved into the matter of bringing Ukrainian phytosanitary norms in line with EU legislation. – Your project is focused on phytosanitary regulations. What do these regulations mean and how do they influence the lives of ordinary citizens? The practical importance of phytosanitary norms consists in preventing the import of infected plants, fruits, vegetables, planting material for agricultural purposes, and decorative crops. Preventive measures can enable us to save the harvest and avoid expenses associated with curing the plants in case of their deterioration. There are many different risks that arise from infected plants: land would be quarantined and fruit would be destroyed. All these outcomes can have severe socio-economic consequences. – What are the main challenges to Ukrainian phytosanitation now? According to our evaluation, phytosanitary legislation in Ukraine is quite good and guarantees an acceptable level of plant control. At the same time, in order to bring these regulations to equivalence with European norms, some elements should necessarily be revised. In particular, the basic Directive on Plant Quarantine – COUNCIL DIRECTIVE 2000/29/EC of May 8, 2000 on protective measures against the introduction of organisms harmful to plants or plant products into the community. It is crucially important to harmonise Ukrainian legislation with this directive. Common phytosanitary regulations are necessary for successful trade both between the EU and outside countries and inside the EU. For example, when Croatia joined the EU in 2013, the main benefit for its agricultural sector was entering the common European market, which it could only access after meeting the EU phytosanitary requirements. – What is your project focusing on, and what practical meaning does it have for Ukrainians? One of the direct goals of our project is to prevent the import of infected plants into Ukrainian territory. Since Ukrainian legislation is not harmonised with European, it is difficult to monitor whether any quarantine plant organisms were imported. Fortunately, no massive infection of plants has happened in Ukraine so far. Nevertheless, without strict norms – in particular at border crossings – it is complicated to control the quality of plant imports. We aim to increase the export of Ukrainian plants to the EU to its full potential. Consequently, importers and exporters of plants, and of course farmers, will benefit from our project. It will also be important for those people who grow plants privately. For instance, if a new infection appears, the owner of infected plants should have the ability to contact an inspector for help or advice. Likewise, the inspectors themselves must be well-informed and qualified. This project helps with this through training and handbooks. – Your project aims at opening up new export markets for Ukraine. To what extent has Ukraine realised the potential of its plant exports so far? Ukraine has good export potential, but phytosanitary limitations are one of the most significant obstacles to its full realisation. For example, Ukraine had the opportunity to export potatoes to the EU member states and associated countries. However, this opportunity was wasted because Ukrainian legislative norms are not in line with European standards. Because the quality of Ukrainian products did not conform to European norms, vans carrying Ukrainian plants were not allowed to cross the border into the EU. The harmonisation of legislation that we are working on foresees four dimensions of activity: adaptation of Ukrainian legislation to European norms, strengthening the competency of responsible bodies for the continued implementation of the legislation, improvement of inspection bodies and methods, and renovation of laboratories in accordance with international standards. – How will the harmonisation of Ukrainian phytosanitary legislation with European standards influence Ukraine’s trade with its other partners? For instance, will Russian planting stock disappear from our market? Will this restrict the choice of products on the national market? The harmonised phytosanitary legislation and procedures ensure that Ukrainian plants and products of plant origin are inspected and tested in the same way as is done in EU countries (other associated countries) so that there are no problems with exporting these products and developing their competitiveness. Concerning the import of Russian planting material, if they are in compliance with Ukrainian phytosanitary requirements, there will be no problems. The global trend is to harmonise phytoasanitary norms with the framework of IPPC (International Plant Protection Convention) standards. This move will lead to better protection against quarantine organisms through both import and export procedures. – Could ordinary Ukrainians facilitate the implementation of better phytosanitary standards at the local level? Yes, for sure. We believe that individuals should inform the proper authorities if they notice any suspicious new organism on their plants. This simple measure could prevent the spread of infection into other territories. It is rare that people actually do this in Ukraine even though it is common in the EU. In EU member states, there are high fines for farmers or owners of smallholdings who do not employ necessary measures to prevent infection of plants or do not inform state authorities about discovering unfamiliar organisms. In Ukraine these fines are too small and therefore not effective. In this type of initiative, individual citizen responsibility is especially valuable. The Twinning Project, “Supporting Ukraine in approximating its phytosanitary legislation and administration with European standards” promotes administrative reforms based on best European and international practices. The increase in trade of plants and plant products, geographical expansion of suppliers, and the appearance of new quarantine organisms require the application of uniform standards. A team of French and Latvian experts is working together with the State Veterinary and Phytosanitary Service to bring Ukrainian phytosanitary standards in line with EU legislation. They also ensure joint and efficient measures to prevent the exposure and spread of quarantined and other hazardous organisms to flora or fauna. Moreover, the project aims to promote institution building with EU support and help the countries in the framework of the European Neighbourhood and Partnership Instrument. The Project is expected to last 21 months (from September 2012 to May 2014). Since it began, the project has accomplished a lot: it has elaborated on key legislative recommendations for harmonisation with EU standards, created handbooks for Ukrainian colleagues, and held seminars and training sessions. Moreover, some Ukrainian experts had the opportunity to complete two-week internships in EU member states (France, Germany, Lithuania and Latvia). ← How to combine parenthood and career?